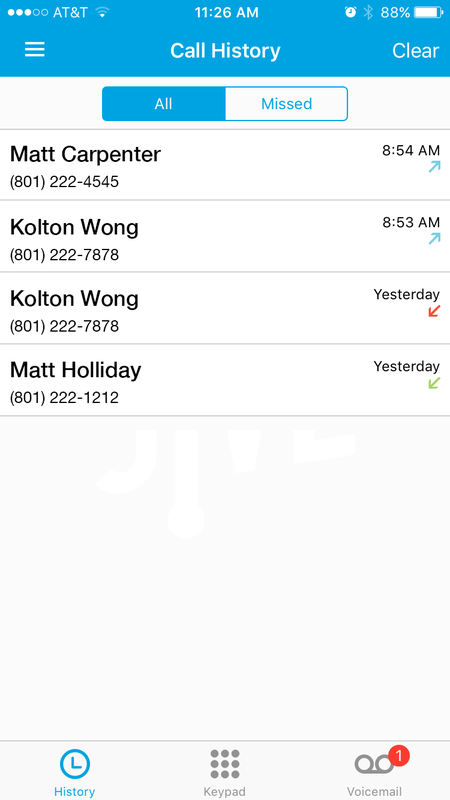 Call history displays of complete call log for the line. Tapping an entry will dial the extension/number. To access the call history, tap in the upper-left corner to access the app switcher and then tap [Phone] > [History]. Displays all outgoing, and missed calls. Alternatively, you can view Recently Activity from the app switcher by tapping in the upper-left corner.